Last week I asked: What historic event took place in Oswego in May 1814? 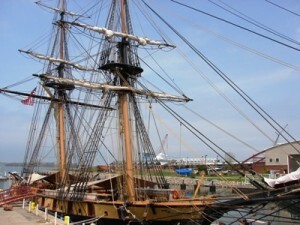 Transporting the Great Rope from Oswego to Sackets Harbor. 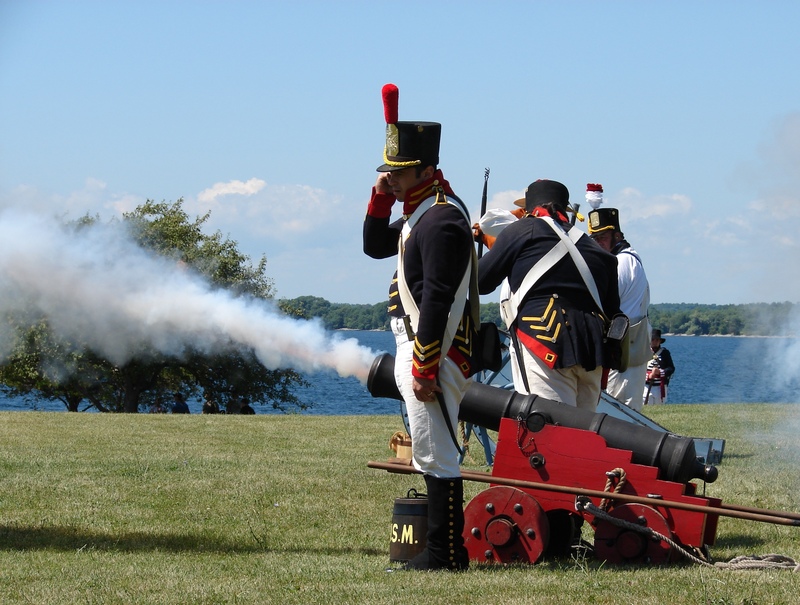 In May 1814, about 700 British troops came ashore in Oswego and ended up destroying Fort Ontario. It is hard to imagine the terror the residents felt. I love the book “The Great Rope” written by Rosemary Nesbitt. It is just one story about how local residents rose to the occasion and took part in the defense of their country during the War of 1812. The newly built ships in Sackets Harbor were in need of an anchor rope. By most accounts, the Great Rope was nearly 600 feet long, seven inches thick and weighed almost 1,000 pounds. 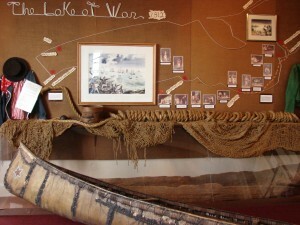 The rope made it from Oswego to Sackets Harbor via boat and then 20 miles by land on the shoulders of 100 men who ultimately bore permanent scars on their shoulders. 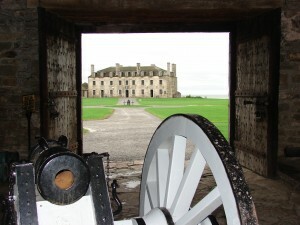 On August 2, a new version of Nesbitt’s play based on her book will be performed at Fort Ontario. A map details the importance of this area during the war. It is a way to learn the rest of the story. The area around the Great Lakes played a critical role during the War of 1812. The book is a great resource for planning trips. John and I have visited many of the sites but there are always more places to discover and favorite places to revisit. The book details 14 significant sites between Erie, Pennsylvania and Massena, New York associated with The Second War for Independence. At the Erie Maritime Museum the star attraction is the replica of the U.S. Niagara, Oliver Hazard Perry’s ship that won the Battle of Lake Erie, also known as the Battle of Put-In Bay. The Sheraton Erie Bayfront Hotel, next to the museum, is a great place to stay. During the war the area between Niagara Falls and Old Fort Niagara was heavily contested. The book, The Tuscarora Heroes, by Lee Simonson relates the brave actions of the Tuscarora men who aided the settlers against British forces. The book tells the harrowing story of Hepzipha Gillette who survived but not before seeing her seven-year-old son shot and scalped. It is just one of the many personal stories experienced by people during the war. At Old Fort Niagara the 15-star Old Glory is in a place of honor having been returned to American soil in 1994. It had been claimed as a trophy by the British in 1813. The Barton Hill Hotel is midway between Niagara Falls and Old Fort Niagara making it a perfect place to stay. One of the many events commemorating the war occurs each year at the Sackets Harbor Battlefield State Historic Site where land and sea battles are reenacted. 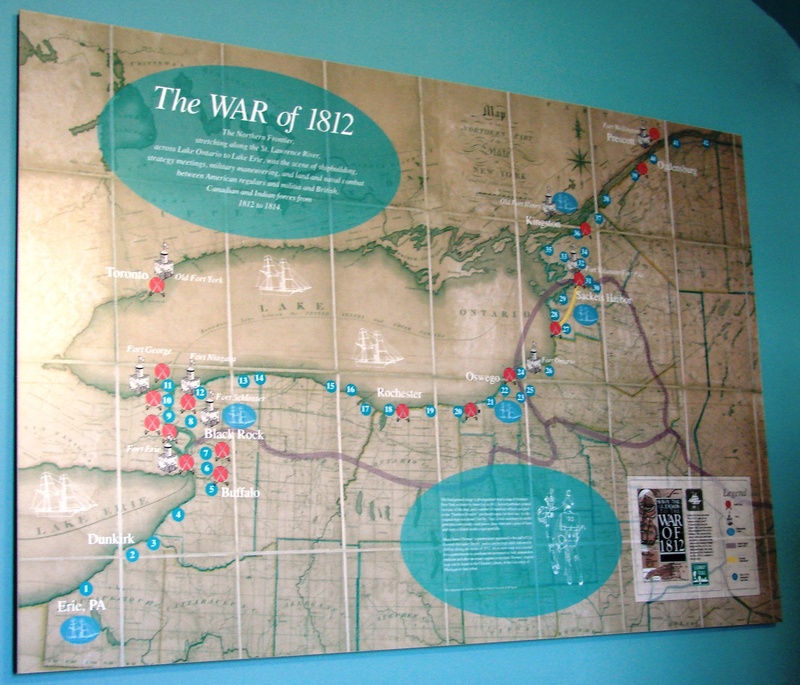 Sackets Harbor is also home to the Seaway Trail Discovery Center with information on the war and other places along the Seaway Trail. The St. Lawrence Valley was the gateway for invasion of Canada with an assault on Montreal planned. In retaliation for the American raid on British supplies the British successfully attacked Ogdensburg burned American boats frozen in the ice and made off with American military supplies. 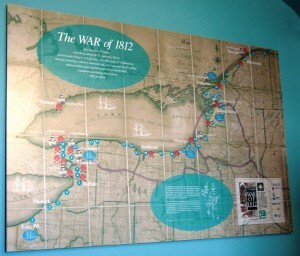 The Great Lake Seaway Trail follows the frontlines of the War of 1812 in the north with explanatory storyboards along the Trail. Trivia Tease™: Where can you learn to make chocolate in Santo Domingo?